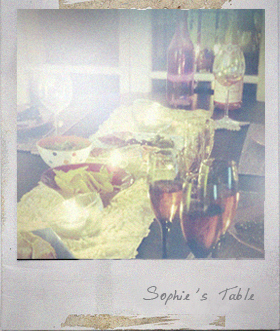 I went to France to see Sophie. Sophie is the first friend who I made in the UK. We became friends the first day we met at school nearly 15 years ago, and still good friends even after she moved back to France. Her innocent smile always makes me happy and I learned from her that the importance of being simply yourself and enjoy it. 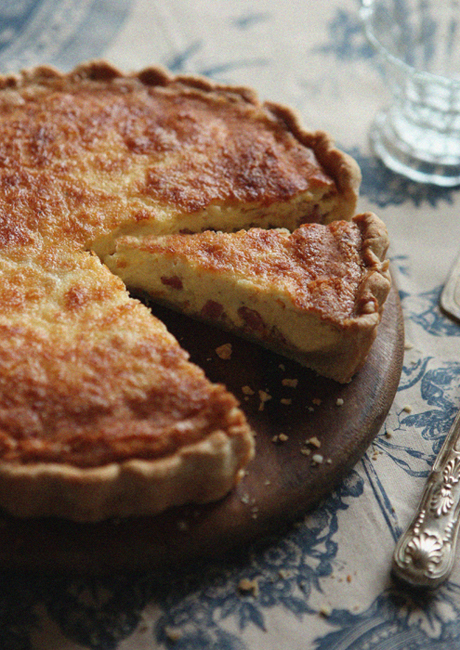 Quiche Lorraine is the dish she made for me sometimes when we were students. I loved her simple and classic quiche. It was delicious and comforting. “Simple is the best” is her motto of cooking. I agree with it. I think simplicity is the most important key for cooking, and maybe for a lot of other things too. Place the flour, salt and butter into a large bowl. Rub the butter into the flour with your fingertips until the mixture resembles fine breadcrumbs. Sprinkle with the cold water, then stir with a knife until it clumps together. Wrap the dough in cling film and cill in the fridge for 1 hour. Roll out the pastry on a lightly floured surface and use to line the tart tin. gently pushing the pastry into the corners. Prebake for about 10 minutes. Heat the butter in a frying pan over low heat, sauté the shallot until softened. Remove the shallot from the pan and reserve. Turn the heat to medium high and fry the lardons until cooked through. Remove and drain the lardons on kitchen paper, add to the shallots and leave to cool. Beat the eggs well in a bowl and stir in the cream. 3/4 of the cheese and nutmeg. Season with salt and pepper to taste (you shouldn’t need much salt). Spread the lardons and shallot on the pastry, pour the egg mixture over and sprinkle with the remaining cheese over the top. Bake in the oven for about 30 minutes, or until golden and just set. You are currently reading Quiche Lorraine at Fish Trip Cafe.